Raised in Pennsylvania, now living in Manchester, Zoe Mulford charms audiences with powerful, story-driven songwriting, an engaging stage presence, and an unlaboured vocal style. Her most recent album, Small Brown Birds, a new collaboration with English fiddler and mandolinist Tom Kitching. It traces the progression from winter to spring, with a message of resilience, community, and hope in times of trouble. From it comes the The song “The President Sang Amazing Grace”, which having now been covered by Joan Baez, won the Best Song 2018 at the International Folk Music Awards in Montreal. 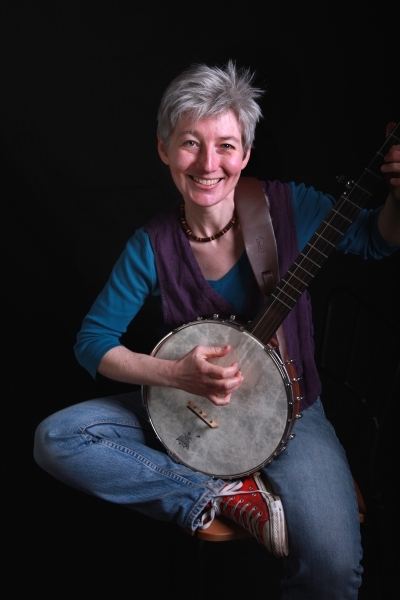 She backs her voice with guitar or claw-hammer banjo, drawing on the traditional music of Appalachia and the British Isles and stealing a few pages from the American Songbook to create music that feels both comfortably lived-in and sparklingly fresh. She has been a Kerrville Newfolk finalist and a Falcon Ridge Emerging Artist. Her songs have been recognized by the Great American Song Contest and the Mid-Atlantic Song Contest, and appeared in Sing Out! Magazine.Her song “Welcome In Another Year” has become a seasonal favorite on folk radio. 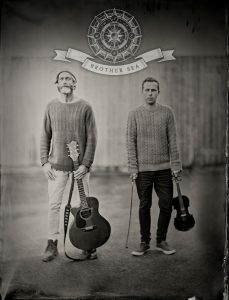 Award winning song writers Kris Lannen and Richard Trethewey, formerly of The Grenaways, are the folk duo Brother Sea. With hypnotic vocals accompanied by classic folk instruments they create a sense of awe and intrigue with their songs like campfire stories that explore heritage and folklore as they gently flicker through captivating soundscapes. 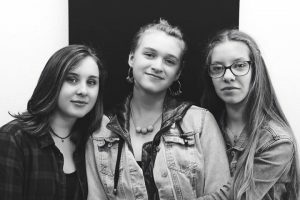 Elmara are made up of three 14 year old girls who are ready to rule the world! Ellie, Maisy and Rachael combine the classic trio of bass, guitar and drums with beautiful three part harmonies, crafting songs with stories to tell, and hooks that stay with you for days. Since coming together 3 years ago through school, they have developed a sound that combines the best of British indie with dreamy West Coast pop. Starting with reworked covers, the girls quickly moved on to writing their own music, inspired by their own experiences and emotions. To date, they have graced stages at Fowey Festival, Rock Oyster Festival, Boardmasters and Music for Youth Frequencies, helping them build stagecraft beyond their years. Keep in touch with news from the Cornwall Folk Festival.